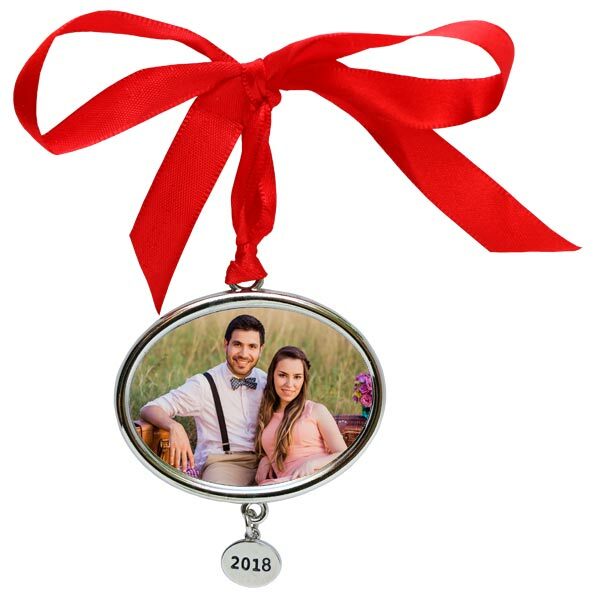 Upload your favorite photo and create a custom photo ornament that commemorates a treasured family moment. Our annual Christmas ornaments are great way to showcase any photo from your collection. Find your best vacation picture from 2018 or upload a cherished memory that defines the year as a whole. 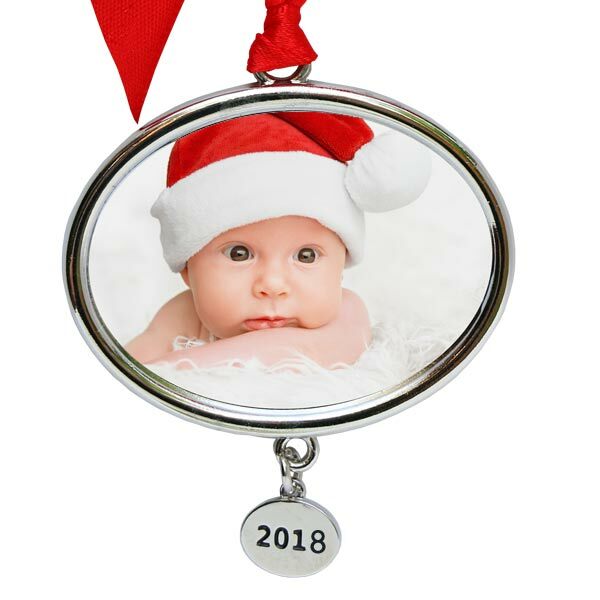 With its festive red ribbon and shiny silver finish, our 2018 Christmas ornament will become a favorite holiday keepsake that you and your family can enjoy each year!